Children's development of early literacy skills will be one of the measures of success for the social impact bond program that will pay for 2,600 more slots in Chicago's well-regarded Child-Parent Centers. Board of Education member Henry Bienen took an unusual step at last month’s meeting: He voted against a plan that came down from Mayor Rahm Emanuel’s office. Bienen, a former president Northwestern University, said he was “very uneasy” with a proposal to borrow nearly $17 million from investors in a so-called “social impact bond” (SIB) to pay for a four-year preschool expansion. Social impact bonds haven’t been around long enough for researchers to have reached a consensus on the benefits to local governments, which must pay significant start-up costs and set aside money in escrow to make projected repayments. As a result, it’s too early to tell whether Bienen is right. But a review of the loan agreement and related contracts – which were approved by the CPS board and still must go through the City Council — shows that the deal relies on a complicated formula that poses little risk to investors. That’s due largely to the proven track record of the project’s chosen preschool program, child-parent centers. In addition, investors gain good will and publicity in the deal. –Nearly $1.3 million of the $16.6 million loan will never reach CPS. That money will go to pay a third-party project manager, audits, additional social services, and legal fees – including up to $250,000 for the investors’ own legal costs. –In addition, the city must pay $319,000 for an outside group to evaluate the project in the third and fourth years. –According to the city’s projections, CPS would pay about $21.5 million over the life of the 16-year program in payments for “savings” from fewer special ed services. However, if the program is more successful than expected, CPS will have to pay more, up to a maximum of $30 million. –The city expects to kick in an additional $4.4 million in “success payments” based on children’s performance on kindergarten readiness and third-grade literacy tests. This means that if it’s very successful, investors could get back more than double their money over the life of the program. City officials have not said how much– if anything – they expect to save. But Emanuel and his supporters have pointed to research on the benefits and long-term cost savings from good early childhood education. Over four years, the money will pay for slots about 2,600 low-income 4-year-olds to attend child-parent centers that provide preschool, support services, and require strong parent engagement. A 2002 cost-benefit analysis showed many long-term positive benefits to the centers — ranging from a 41-percent reduction in special education placement and a 40-percent drop in retention. While child-parent centers serve children up to third grade, the research has found that the preschool participation alone saves taxpayers more than $7 for every $1 spent. Experts who have tracked their success said it was easy to see why Chicago officials and the lenders zeroed in on the program. “Most other [social impact bonds] that have been done are treatment programs that don’t have a record that the CPC program has. It’s already a renowned model, by far the most evidence-based program out there,” says Arthur Reynolds, a professor at the University of Minnesota who has studied Chicago’s child-parent centers for nearly three decades and co-authored the 2002 cost-benefit analysis. Even before Emanuel announced the expansion, CPCs were already growing in Chicago as a result of an Investing in Innovation grant from the U.S. Department of Education. Preschool enrollment has doubled since the 2011-2012 school year, Reynolds said, and many programs offer a full day of preschool. The social impact bond will only cover a half-day of services. Reynolds said he’s been helping the mayor’s office on the proposal since last fall, when the city won technical assistance from the Harvard University Kennedy School of Government’s Social Impact Bond Technical Assistance Lab. The lab provides pro bono full-time fellows to governments implementing “pay-for-success” contracts. If approved by City Council, the bond program would become the fifth in the country. As in the other programs, Chicago would not borrow the money directly from the lenders – which include the Goldman Sachs Social Impact Fund, Northern Trust and the Pritzker Family Foundation. The foundation is serving as the subordinate lender, meaning it’ll take any financial hits before the banks — which reduces the banks’ risk. The Pritzker family has been a longtime advocate of early chidlhood education. As an added bonus, banks can use the social-impact bonds to boost their ratings under the federal Community Reinvestment Act, which encourages lending in low-income communities. The preschool loan money goes to an intermediary project coordinator, IFF Pay For Success I, LLC, a limited liability company set up by IFF, a lender and consultant to non-profits. IFF then loans the money to the city, which will in turn disperses most of the funds to CPS. However, a portion of the loan goes toward other costs. These include $470,000 for IFF’s services; $200,000 for Metropolitan Family Services for parent support and training; $170,000 in audit fees; $75,000 for IFF’s legal fees; and $100,000 for the city’s and CPS’s legal fees. IFF is responsible for hiring an evaluator, whose fees are paid during the first two years by the Finnegan Family Foundation. The city must come up with $319,000 to pay its fees during the last two years of the loan disbursement. 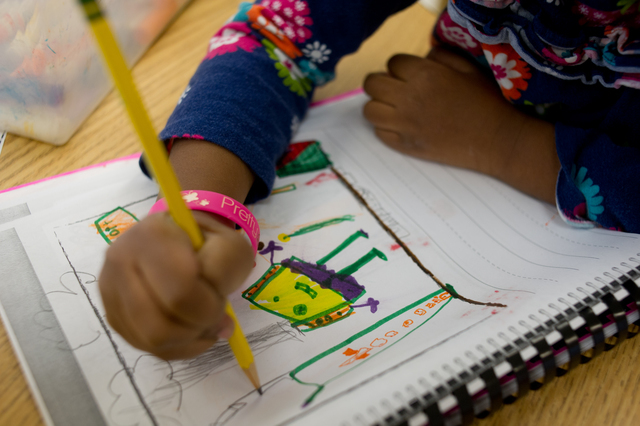 As students in each cohort take kindergarten readiness and third-grade literacy tests, IFF will take money out of the $4.4 million that the city must put into escrow to pay back the investors according to the evaluator’s findings. In addition, next year CPS must begin to budget for its own projected payments for special education requirements; some years, CPS expects to set aside as much as $1.9 million to make the payments. Those who are skeptical of social impact bonds have said that the escrow payments and administrative costs to government make them tough to justify on economic terms. At the end of the day, they say, governments are simply kicking the can down the road instead of paying to provide services up front. In a 2013 report on a Massachusetts proposal to use SIBs for a prisoner re-entry program, Kyle McKay, who was then a policy analyst for the state’s Department of Legislative Services, said that a direct government investment was likely to have a greater impact and pose less risk than SIB financing. Under the Chicago proposal, the loan will pay for 374 half-day slots in the first year; 782 slots in both the second and third years; and 680 slots in the fourth and final year. Six sites have already been chosen to receive funding this year: De Diego, Melody, Peck, Thomas, Wadsworth and Hanson Park elementary schools; two additional sites will be added next year. According to the city’s evaluation plan, students in the “treatment group” will be compared to students from similar low-income neighborhoods who did not attend preschool at any CPS site or at any Head Start site that’s overseen by the city. City officials did not explain how the control group of children would be identified, considering Emanuel’s goal of providing preschool to all low-income 4-year-olds by next year. The biggest loan repayments come from the expectation that the children who attend preschool at child-parent centers will be less likely to use special education services for mild disabilities than those who never went to preschool at all — a projection based on the earlier cost-benefit analyses. Children with severe disabilities, including autism or deafness, will be excluded from the study group. When the first cohort of students enters kindergarten, CPS will begin paying the lenders for each fewer child who needs special education services when compared to the control group. CPS will pay $9,100 per child annually, an amount that increases by 1 percent each year. The evaluator will measure “kindergarten readiness” through an assessment that’s already used in CPS preschools. For each child in the “treatment group” who performs at or above the national average on at least five of the six sections of the assessment, the city will repay lenders $2,900. The city projects half of the children will score high enough to trigger the payments. Meanwhile, third-grade literacy will be measured using the Partnership for Assessment of Readiness for College and Careers (PARCC), a new test to which CPS is transitioning this year. The new assessment is aligned to the controversial Common Core State Standards and is considered more rigorous than current state tests. The projections indicate that half of third-graders will be at “grade level,” meaning they score at or above the 25th national percentile on reading portions of the PARCC. Under the agreement, the city will pay lenders $750 for each child that meets that benchmark. But the city and lenders have agreed to reconsider using this test if CPS students don’t do as well as expected. Parents who have been protesting the PARCC and the use of other high-stakes tests in CPS said they were surprised to know the scores wouldn’t necessarily be used to determine payment to investors.